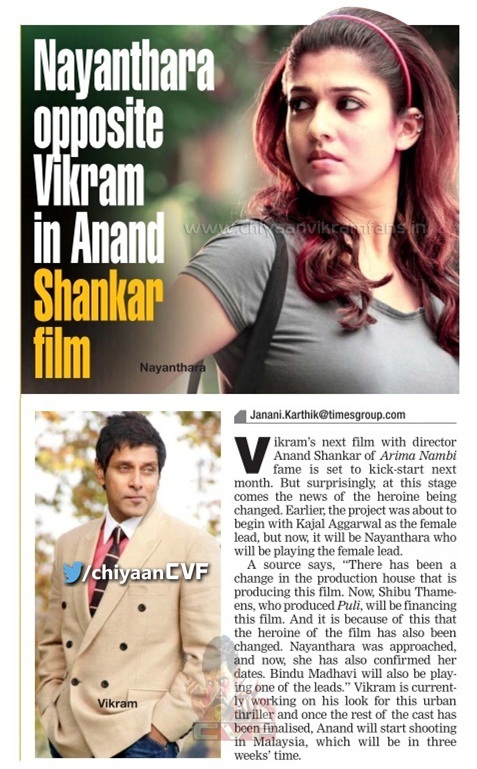 Vikram's next film with director Anand Shankar of Arima Nambi fame is set to kick-start next month. But surprisingly , at this stage comes the news of the heroine being changed. Earlier, the project was about to begin with Kajal Aggarwal as the female lead, but now, it will be Nayanthara who will be playing the female lead. 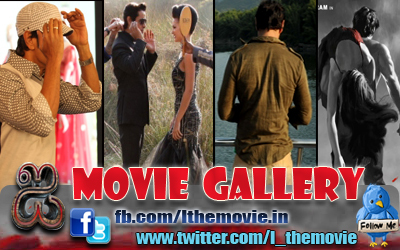 A source says, “There has been a change in the production house that is producing this film. Now, Shibu Thameens, who produced Puli, will be financing this film. And it is because of this that the heroine of the film has also been changed. Nayanthara was approached, and now, she has also confirmed her dates. Bindu Madhavi will also be playing one of the leads.“ Vikram is currently working on his look for this urban thriller and once the rest of the cast has been finalised, Anand will start shooting in Malaysia, which will be in three weeks' time.